﻿ CCSS 2.NBT.4 Worksheets. Comparing three digit numbers. 4. 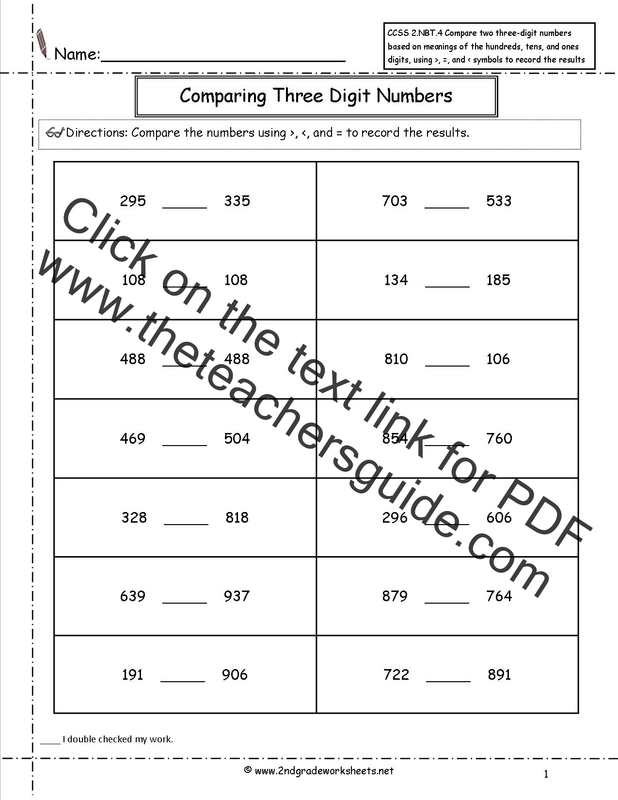 Compare two three-digit numbers based on meanings of the hundreds, tens, and ones digits, using >, =, and < symbols to record the results of comparisons. Students compare 2-three digit numbers.